Sushant Singh Rajput’s new movie Sonchiraiya new trailer has been released. The trailer features information about the characters of the film. Abhishek Choubey is directing the movie made in the center of Chambal dacoits. 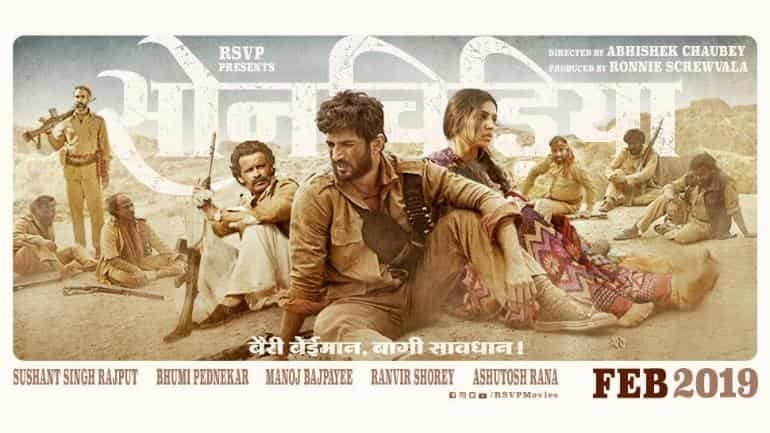 Sushant Singh Rajput’s movie Son Chidiya’s second trailer has been released on Chambal pirates. The first trailer of the film was released on 7 January. Earlier it was discussed that the birds will be released on the same day ie February 8. But later its release was shifted next month. While there was a glimpse of the story of the movie in the first trailer, the other trailer has given information about the characters of the film. The second trailer is about 2 minutes long. The trailer is full of assault and abuse. Sushant, Manoj Bajpai, Ranveer Shourie’s look is creepy. In the film, Sushant Singh Rajput is in the role of Lakhna. Lakhan is a hot-brained man who speaks less than mouth and more than gun pills. Manoj Bajpai is in the role of Man Singh. The drama dramatically depicts his kind image in the trailer. In one scene, he robs a house where marriage is going on, after plundering the house, they talk about giving a shagun of 101 rupees.